I am not a power user of Linux or any of the various distros but I believe something very big happened today. AMD has unveiled what they are calling the “AMDGPU” Kernel Driver; something that will form the base of Closed Source (Catalyst) and Open Source (e.g. Gallium3D) drivers in Linux. This appears to be a pretty big step judging from the amount of appreciation it is receiving from the linux community. We received this news from Phoronix.com where you can find the full set of slides for the open AMDGPU driver stack. Basically, there are two type of drivers available in Linux. One is the proprietary and closed source Catalyst driver by AMD and the other is the open source way, with multiple flavors to choose from. AMD has however unveiled the new AMDGPU ‘kernel driver’ that will be the base of both Catalyst and open source alternatives like Gallium3D. 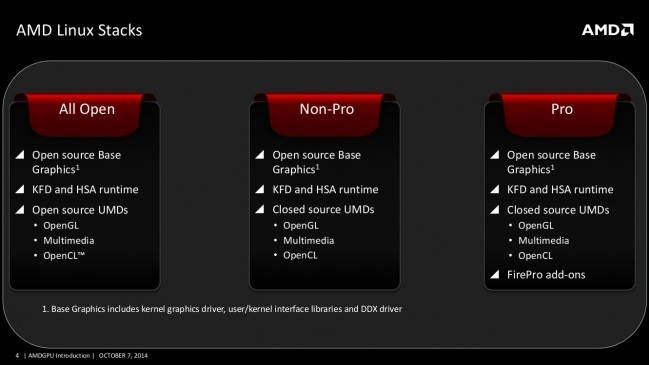 It will replace the closed source ‘Radeon’ (the current DRM driver for Linux). To be clear, no part of Catalyst is going open, AMD is just introducing a new driver stack that will streamline and unify the approaches of AMD’s driver ecosystem in Linux. An important point to note is the the AMDGPU kernel driver is being tested on SeaIslands and unreleased hardware. ‘Radeon’ will not support the upcoming AMD GPUs and this new driver won’t support the current or older generation of cards. If they are testing drivers for Pirate Islands GPUs then that means AMD is almost done with the prototyping phase and we just might hear about the R9 300 Series before the year ends (or sooner). Personally, this is one of the most intriguing news I have heard in a long time. Now, I would be lying if I said I understood everything the slides say, since I have next to no experience in Linux. However, from what common sense tells me the major difference between Proprietary and Non-Proprietary (Open Source) drivers will be the inclusion (or lack thereof) of closed source FirePro drivers. AMD will be reworking its Catalyst driver to comply with the new AMDGPU Kernel Driver, which would essentially make the open source variants modded versions of the closed counterpart. One of the major problems faced by Linux users is the lack of documentation, however this reveal appears to be a step in the right direction. 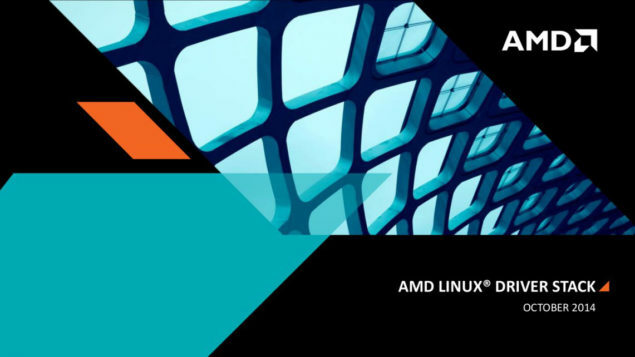 Infact, AMD has given a comprehensive process in which they will help the Linux community by making its closed source devs interact with their counterparts. Documentation will be worked upon and there is even a promise in there about the future being open source. AMD Radeon Software Performance Analysis – Is This the Crimson Tide?